The Czech News Agency (CTK) used for the first time automatically generated news articles along with its standard news service during the local and Senate elections this year. “The main benefit of this year’s novelty was accelerating the news service in transposing the data from the Czech Statistical Office (CSU), limiting human errors and facilitating the work of reporters, thanks to which they could more focus on reactions and other interesting items from the elections,“ said Radka Matesová Marková, the editor-in-chief of the CTK news desk. “At the same moment when the CSU released results from a regional town, for instance, the programme generated a story according to a scheme prepared beforehand into which it directly inserted the released data. ”There is a rule in CTK that each story goes through editors and this control rule was naturally applied to these news articles as well,” she added. A robot prepared about a half of headlines on the election results, a crushing majority of flesh news (a brief two-paragraph story with the final result prognosis) as well as the stories after 100 percent of votes were counted. The editors checked more than 200 automatically generated texts in total. “The preparation for the programme lasted some two months. We were testing the software before the real launch using the data from the previous elections as well as the test data that the CSU released before the elections,” CTK IT Director Jan Kodera said. “CTK has long been automating the work steps, in which this is possible and makes sense. We have been automatically releasing daily schedules of expected events for years and updated graphic visualisations for more than one year. 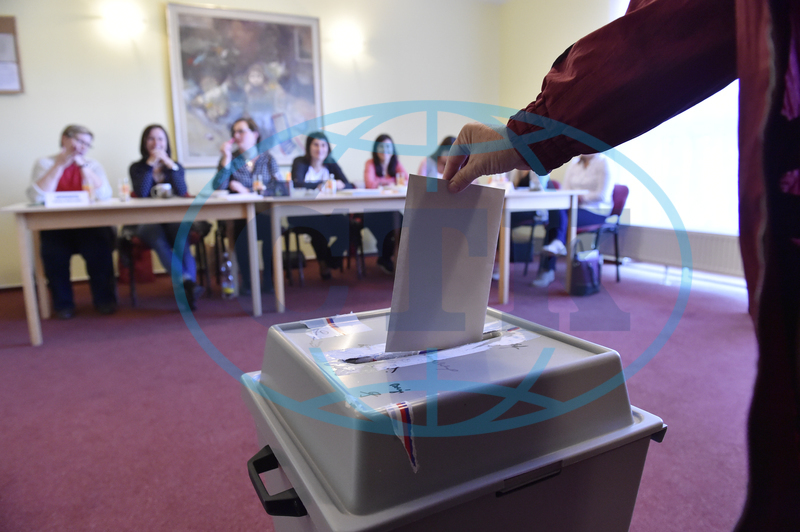 Now we have prepared news articles with election results to make the election service even faster,” CTK General Director Jiří Majstr said. “This means development, not a revolution to us, similar to other world agencies, with which we will be discussing this issue, among others, at the MINDS conference in Prague next week,” he added. MINDS International is a world network of news agencies. Founded in 2007, it currently associates more than 20 agencies. Its members are, for instance, The Associated Press American agency, the French AFP, the German dpa, the British PA, the Australian AAP and the Austrian APA as well as CTK. Prague was not selected as the venue of the autumn MINDS conference by chance, but because of the 100th anniversary of the CTK establishment celebrated this year. The Czech New Agency was founded on the same day as the Czechoslovak Republic, on October 28, 1918.